Israeli firm Newsight Imaging is to produce CMOS image sensors for high-volume automotive lidar markets using TowerJazz’s foundry in Israel. The NSI5000 is an integrated lidar solution for long-range applications. The CMOS image sensor includes a digital signal processor controller for depth calculations and machine vision. NSI5000 is based on Newsight’s enhanced time-of-flight technology, which the company says bridges the gap between short-distance indirect time-of-flight and long distance automotive requirements by extending the dynamic range while retaining high accuracy. Lidar promises to be a potentially huge market, as automotive firms aim to reach higher levels of autonomy in their vehicles. Market research company IHS estimates the automotive lidar semiconductor market will reach $1.8 billion by 2026, with 37 per cent CAGR (2018-2026). BMW recently announced it has selected a solid-state lidar solution from Israeli company Innoviz Technologies for series production of its autonomous vehicles, starting in 2021. At the moment, the cost of lidar is prohibitive. In addition, the devices need to be able to detect objects at a 200-metre distance, which places great demands on the sensors used in the systems. Sensor company SensL is developing single-photon avalanche diodes (SPADs) and silicon photomultiplier (SiPM) detectors, which it says will enable lidar systems to operate at a range of 200 metres. 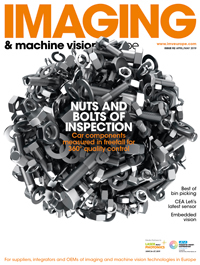 It is unclear what the detection range is of Newsight Imaging’s lidar solution. Newsight will use TowerJazz’s advanced 180nm CMOS technology, featuring a wide range of customisable pixel architectures. ‘We chose TowerJazz for its advanced pixel technology, specially customised for our CMOS image sensor chips addressing very high volume markets. Together with our technology, we were able to demonstrate a four times better sensitivity to our customers,’ said Eli Assoolin, chief executive officer of Newsight Imaging.